Well this is something different: Indian symphonic black metal. India isn’t too known for it’s metal scene, but believe me: it still exists. Diabolus Arcanium got it’s final form in 2013. Before that they operated by name “Fortified Destruction” and played melodic death metal. In february 2014 they released their debut album ‘Spellbound’. I must say that this album was one of the trickiest ones to review. Symphonic black metal is a genre that requires a lot of vision, skill and you really need to put your heart into it. Otherwise it will just be a pile of sounds that make no sense and have no any feeling or emotions in it. ‘Spellbound’ has a lot of vision in it, but still it fails. It’s mainly because of the producing and sounds. Of course black metal isn’t supposed to be a genre with those fancy and compressed studio sounds by masters of producing, but it needs power, brutality and aggression. Symphonic parts show that these Indian metalheads have really listened to early Cradle Of Filth and Dimmu Borgir material. This is one of the plus sides on the album. Songs are ok and have nice riffs and tricks in them to play your air instrumets along. Vocalist Hex’s voice is ok too, even though it could be a bit more brutal to add even more dark atmosphere to the music. 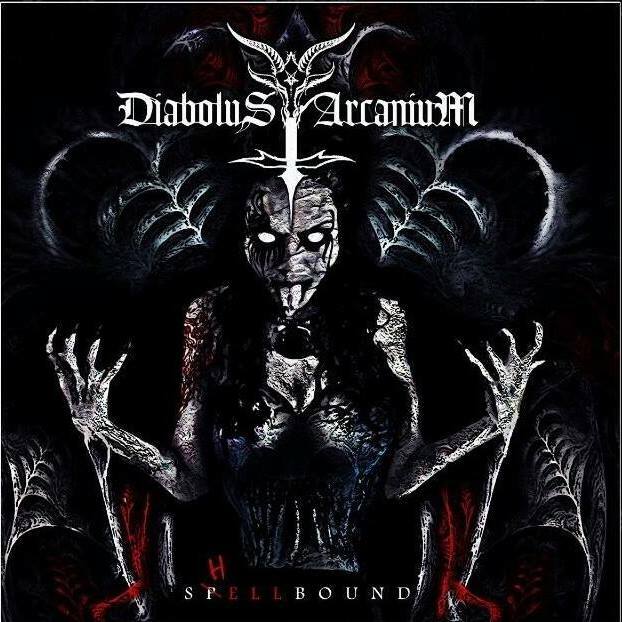 I really like the ideas and visions that Diabolus Arcanium has put on their debut album ‘Spellbound’, but the production, too dominative keyboards/synths and lack of brutality makes this a slight dissapointment. I hope they keep walking on the path of dark symphonic metal and really putting themselves on to it. There might be something mind-blasting coming in the future. At least I hope so.